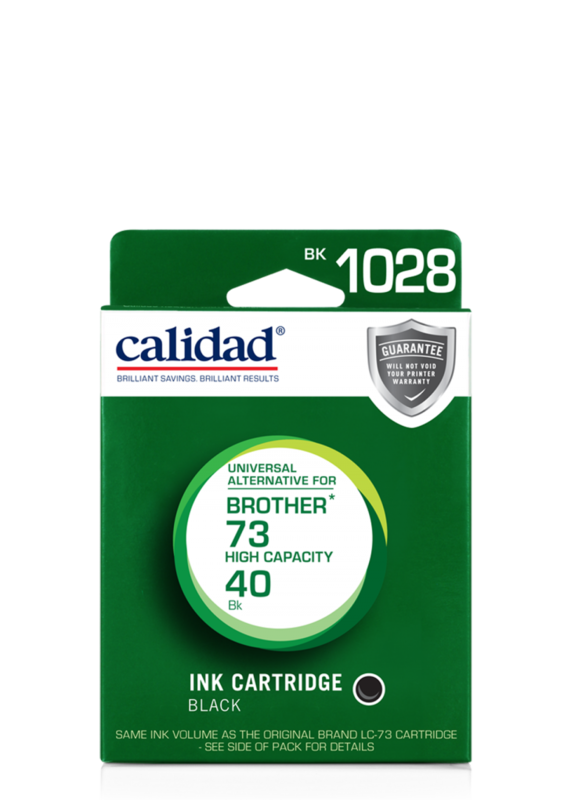 *Brother and Brother printer models are registered trademarks of Brother International Inc. Calidad has no affiliation with Brother. Brilliant Savings. 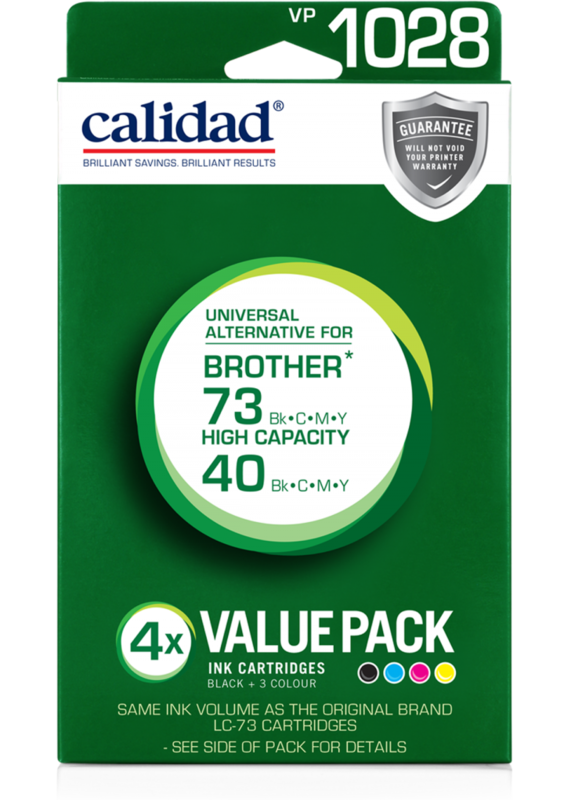 Brilliant Results with Calidad Ink Cartridges Calidad Ink Cartridges offer savings of up to 50% compared to the cost of an original cartridge, whilst delivering a printing solution you can rely on every time. Calidad has over 40 years experience in the manufacture of alternative printing consumables. 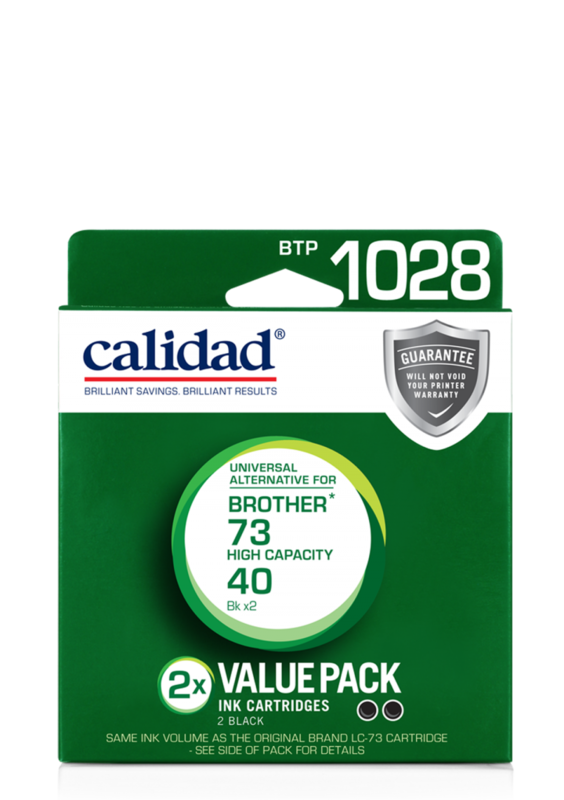 See our range Product and Printer Guarantee The Calidad Guarantee covers your cartridge and the printer you use it in.